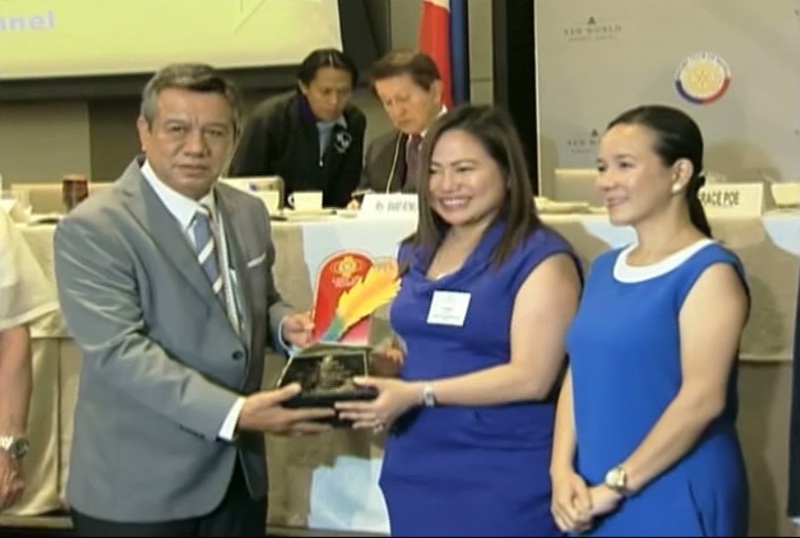 The ABS-CBN News Channel was hailed as the Television Station of the Year at the Rotary Club of Manila's (RCM) annual Journalism Awards held recently at the New World Hotel. ANC scooped up the recognition for the second time after winning the plum for the first time back in 2010. The ABS-CBN News Channel (ANC), the country’s most trusted news channel, was hailed as the Television Station of the Year at the Rotary Club of Manila's (RCM) annual Journalism Awards held recently at the New World Hotel. ANC scooped up the recognition for the second time after winning the plum for the first time back in 2010. "We are humbled by this acknowledgement of our efforts. At ANC we always strive to be faithful to the needs of our stakeholders for different kinds of information. So this award is a big thing for the entire team. We are always evolving along with the needs of the market. So stay with us because greater things are coming," said Nadia Trinidad, the News head of ANC. ABS-CBN also won big at the event, bringing home six out of the seven awards handed out by RCM, including Radio Station of the Year for DZMM. “TV Patrol” anchor Noli De Castro was awarded the Television Male Broadcaster of the Year, while “Failon Ngayon” and “TV Patrol” anchor Ted Failon was also named the Investigative Reporter of the Year. DZMM's “Todo-Todo Walang Preno” anchor Vic Lima came away with the Radio Male Broadcaster of the Year, and “Radyo Patrol Balita” anchor Ruby Tayag was given the Radio Female Broadcaster of the Year award. One of the oldest and most prestigious award-giving bodies in journalism, the RCM Journalism Awards has been recognizing outstanding individuals and organizations in Philippine media annually since 1966.